Description: After Union forces began occupying the Louisiana river parishes, thousands of escaped slaves flocked to them. The Federals, therefore, leased some plantations and put the freedmen to work growing cotton or other crops; the proceeds from the sale of the crops helped defray expenses for food, clothing, etc. African-American troops were assigned to protect these plantations, releasing other troops to fight. Confederates, determined to recapture some of these freedmen and destroy the crops, undertook an expedition from Gaines’s Landing, Arkansas, to Lake Providence. The Federals had constructed a fort on an Indian mound to protect some of these leased plantations. The Rebels prepared to attack the fort on the 29th but decided to demand unconditional surrender first, which the Union forces accepted. Later in the day, Confederate Col. W.H. Parsons fought companies of the 1st Kansas Mounted Infantry. The Rebels then began burning and destroying the surrounding plantations, especially those that the Yankees leased. By the next morning, U.S. Naval boats had landed the Mississippi Marine Brigade, under the command of Brig. 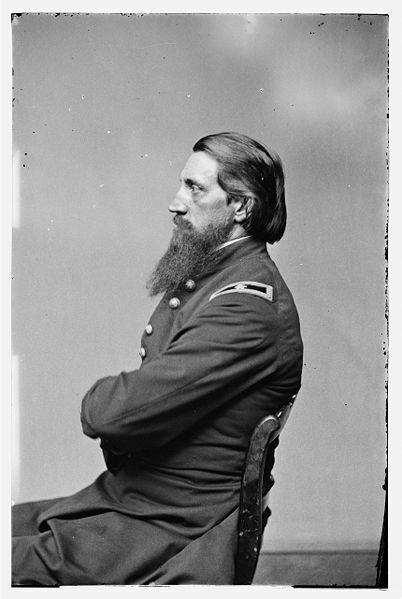 Gen. Alfred W. Ellet, at Goodrich’s Landing. At dawn, he set out with Col. William F. Wood’s African-American units to find the Rebels. Ellet’s cavalry found the Confederates first and began skirmishing. The fight became more intense as Ellet’s other forces approached. Parsons eventually disengaged and fell back. Although the Confederates disrupted these operations, destroyed much property, and captured many supplies and weapons, the raid was a minor setback for the Union. The Confederates could cause momentary disturbances, but they were unable to effect any lasting changes. The Battle of Goodrich's Landing was fought on June 29 and June 30, 1863, between Union and Confederate forces during the American Civil War. The Confederates attacked several Union black regiments that were protecting several captured plantations. Though the Confederates were able to destroy a number of plantations, the attacks did little real damage to the Union war effort in he region.